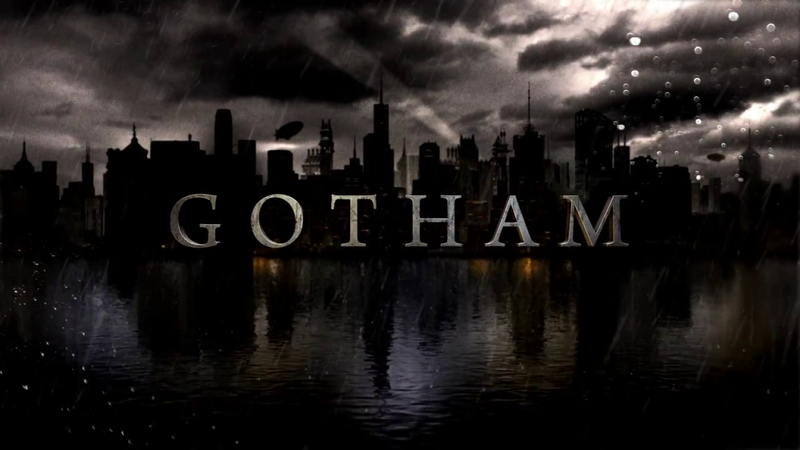 Gotham has once again recovered from a catastrophy in the third season, only to be ruled by the Penguin once again. This time however, crime is being organized and only those who buy a Permit of Misconduct from the Penguin are allowed to perform crimes. Sadly, the GCPD has to fall in line with this new type of business, as otherwise Gotham’s new crimelord can’t guarantee the safety of its citizens. Of course, Jim Gordon has trouble following suit. The virus that made people extremely strong but also crazy has run its course and it seems that Gotham is finally rid of it. 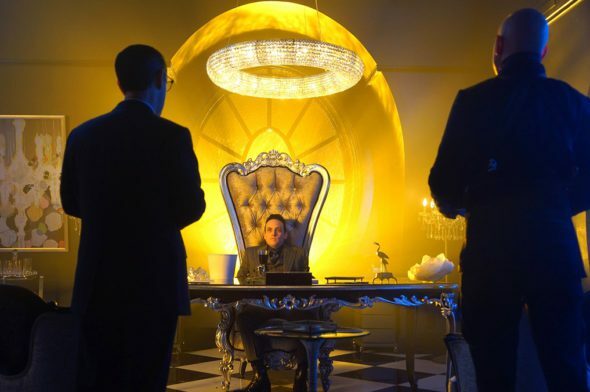 Nonetheless, in the confusion Oswald Cobblepot (Robin Lord Taylor), the Penguin, has once again taken his seat at the head of the crime table of Gotham. He is now selling Permits of Misconduct, forcing all criminals to pay him a share of their profits, and he also has the GCPD in his pocket, making sure the criminals can do their business unbothered. 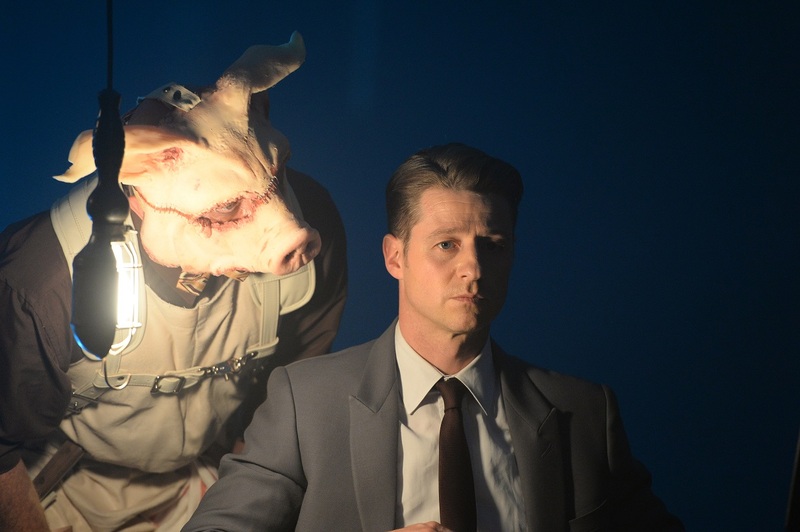 As expected Jim Gordon (Ben McKenzie) isn’t having any of it but gets sidelined when he is interfering too much, forcing him to follow other leads, or at least bust those who have no permit. In the meantime Bruce (David Mazouz) and Alfred (Sean Pertwee) are still recovering from their run-ins with Ra’s Al Ghul (Alexander Siddig). Sadly, the mysterious figure isn’t going anywhere, and there’s only one way to stop him, forcing Bruce’s hand to do something he will regret doing. Nonetheless, it seems that sacrifices have to be made, even if they end up altering one’s life completely. Truth be told, it’s hard to pinpoint what this season is all about, as there are several story arcs going on in this fourth season, making it a very exciting experience. You’ll see Bruce struggling with the aftermath of his actions concerning Ra’s Al Ghul, all while The Riddler resurfaces, albeit with a dent in his intelligence. The Narrows, the slums of Gotham, are being ruled by someone who used to stand for all that’s good in the world. You’ll also see the appearance of other well-known villains in the DC universe, namely, Poison Ivy (which was already clear last season) and the Scarecrow. While this may come across as spoilers, one was already known during the last season, and one is shown at the beginning of this season. Don’t worry, another one will appear as well. The flow of this season is actually incredibly fun as there is more than enough action, and the intertwining story arcs make sure the season doesn’t become dull. 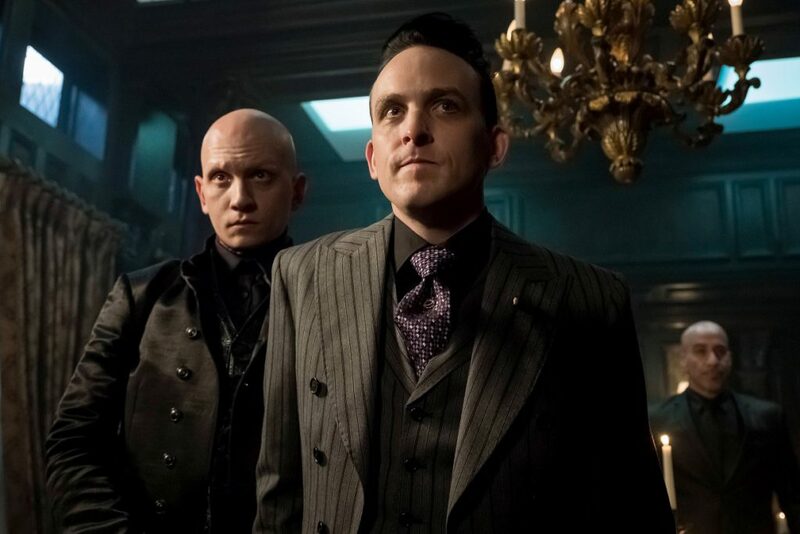 There is more than enough going on at all times, and while some arcs progress slower than others, combined with the fact that nobody ever truly stays dead in Gotham, things do get hectic towards the end of this fourth season. There’s a small buildup to Bruce having to grow up and become the hero we know he’ll eventually become, all while everything is becoming more gruesome and bloody in Gotham. While death has always been a big part of this series, you’ll now see a lot more blood and gore compared to the initial three seasons. As far as acting performances go, there aren’t that many tweaks concerning the cast, thus you’ll be treated to pretty much the same quality as you have been over the last few seasons. There is still more than enough character development, making sure none of the cast members has an easy time portraying their character. While a few changes have been made in terms of certain side-characters becoming more important, you can expect the same good old fashioned Gotham experience. Outside of the regular deleted scenes and the mandatory dated Comic-Con panel, you’ll find some other special features on the Blu-ray edition of Gotham: Season 4. You’ll have a snippet that revolves around Solomon Grundy and about the leading ladies, who are once again doing their best to come out on top of the criminal underworld of Gotham. Gotham is one of those rare series that is still going strong in its fourth season, but even so, we can’t stress enough that we hope this series doesn’t get milked dry. The story writing is still superb, and while some characters may not live up to their older and original counterparts, the twists this series provides are fun and make the overall experience very interesting. If you’re looking for a decent DC experience, which doesn’t dwindle in quality such as Arrow or The Flash, then this series is still worth checking out.